The Outlook Hotmail connector tool has been around for quite some time helping Outlook users manage their Hotmail e-mail, calendar, and contacts. Recently Microsoft has updated it once again to version 14, and it’s packed with new features that were never available until now. Because Outlook is such a powerful management tool, many people prefer to use it over the online Live/Hotmail site. 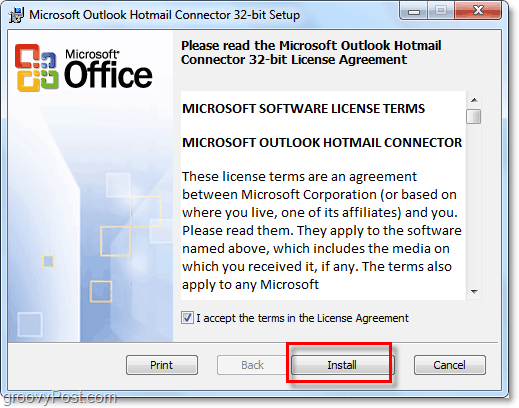 Previously the Outlook Hotmail connector tool was limited and would only allow you to manage parts of Hotmail’s systems. But with this latest version you can do nearly everything. Installation is incredibly simple, so we’ll skip over it. 2. Once the installation finishes, then Open Outlook. 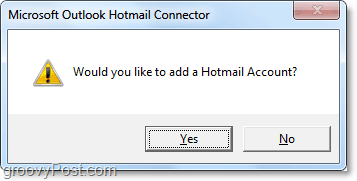 If this is your first time using the connector tool, you’ll be prompted with a window asking to add a Hotmail account. Click Yes. 3. In the next window Type in your Hotmail or Windows Live email account credentials. Your Name doesn’t have to match your name in Hotmail or Windows Live since its only used by Outlook. Note: The Advanced tab will allow you to set a Reply-To address and set the Outlook Account Name, but you can change this at any time. Once installation finishes, then you should see your Live account available in the email sidebar as well as contacts and the other Outlook tabs. 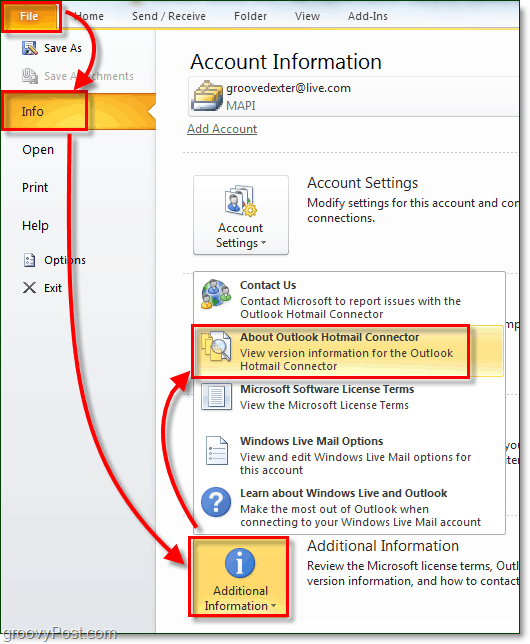 To Verify the installation, Click File > Info > Additional Information > About Outlook Hotmail Connector. The version should read (14.###) and should be similar to the screenshot below. If it is, congratulations you’ve installed it successfully. 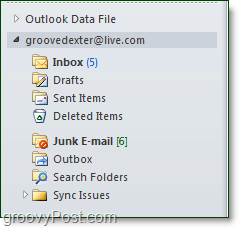 Ready to manage Hotmail/Live Mail using Outlook? Download the connector tool below! 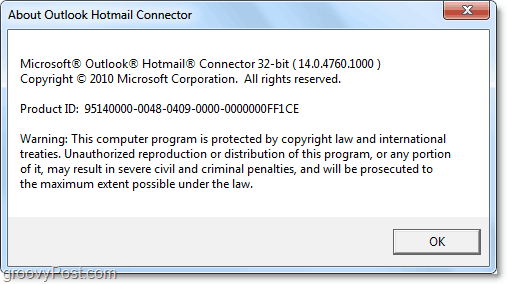 Important Note: Even if you are on a 64-bit system, if you are running a 32-bit copy of Office you’ll need to get the 32-bit version of Outlook Hotmail Connector. Either the 64 bit version is broken or I didn’t do something right. I DID get it working on 32 bit though. Connector x64 works with Outlook x64, x86 (32-bit) with Outlook 32-bit. Your version of Windows is irrelevant. Microsoft recommend installing Office 32-bit anyway unless you need the extra capacity of x64 (Excel files larger than 2GB if I remember correctly), in which case connector 32-bit would be the one for you.